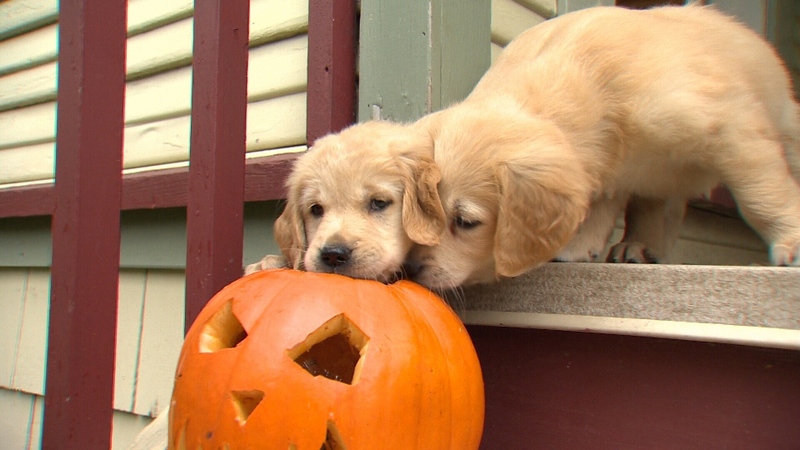 Applications are coming in fast and furious for a litter of orphaned golden retriever puppies nursed back to health by surrogates after their mother died. The 11 golden retriever puppies made headlines in September after their mother died during emergency surgery shortly after giving birth. The Victoria Humane Society, which took them in after the tragedy, put an urgent call out to other dog owners looking for nursing mothers who could donate their milk to the litter. 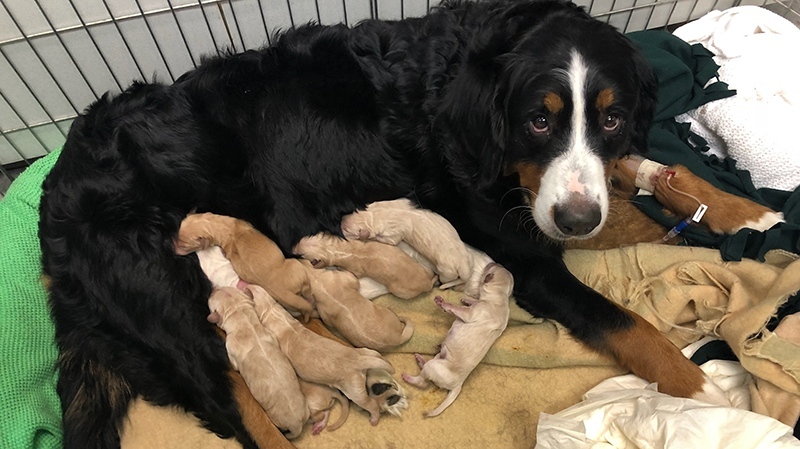 A pregnant Bernese mountain dog was among the doggy surrogates credited with helping save the lives of the young pups. "We were worried we wouldn't be able to keep them alive," said VHS Executive Director Penny Stone. "The end of the story is great. Everybody lived, everybody survived." The adorable puppies are now up for adoption, and the society says there was so much interest they fielded 300 applications within the first half hour. "The really nice thing about us having them since they were born is they're very well-socialized," said Stone. "They've been exposed to everything, so they're very healthy, very social. They'll be really great family dogs." Anyone who's interested in applying is encouraged to do so on the VHS website and put "Golden Litter" where it asks for the dog's name. If you don't get chosen, you're not out of luck – the humane society says 35 more puppies will be arriving next week.